Crack is a substance that has become increasingly popular over the years. Part of the reason for this is because of how cheap it is in comparison to its uncut counterpart. Another reason is the metabolism of crack, which has a short half-life when compared with other drugs. But where did crack originally come from, what are the origins of the drug, and how did it create an epidemic during the 1980’s, that stemmed its rapid rise in popularity? Cocaine is one of the world’s most recognized drugs. It is an incredibly powerful stimulant which can create an intense euphoria or paranoia when used, and in the end, cocaine addiction. So where does the history of cocaine begin? Cocaine stems from the leaves of the coca plant, native to South America’s Andes mountain range. The first recognized use of coca leaves as a stimulant was by the Incan’s, who chewed on the leaves to help their heart race and deal with the thin mountain air. Today, coca leaves are chewed in Peruvian religious ceremonies. However, the coca leaves are also used for a much more illicit reason now. After the Spanish started to return home with coca leaves, they were gradually used in teas and drinks. It took a little while longer for German chemist Albert Niemann to isolate the cocaine in the leaves. He did this in 1859. However, the drug wasn’t popularized in medicine for another 30 years, when Sigmund Freud began prescribing it as a cure for depression. He even continued to prescribe the drug is high doses after a patient died, claiming it didn’t cause dependence. By 1886, the drug’s popularity was soaring higher and higher. It received another boost when the newly introduced soft drink Coca-cola, utilized it in their recipe. Hollywood then began to endorse the drug in film, as its medicinal properties were recognized. Cocaine addiction was silently on the rise. However, people slowly began to see the downside to the stimulant. By 1903 the drug had been removed from Coca-cola, and by 1922 after thousands of deaths related to the substance, it had been banned. Despite this, the drug remained highly fashionable as the drug for the rich. This was until the 1980’s and the introduction of crack cocaine. This influx of the chemically altered drug changed its reputation, from the drug of rich men to the drug of poverty. Crack is just one interesting section in the history of cocaine. But when was crack invented and who created crack? The substance came into being during the cocaine boom, in the 1970’s. It then took the best part of the next decade to hit the heights of its popularity, during the 1980’s. Crack cocaine was developed from coca leaves, just like cocaine itself. However, the drug was then crystallized and cut several times during the production process. It was initially produced by South American drug cartels, for two reasons. The first reason was to get around newly developed laws, created by the US government to monitor cocaine consumption and lessen it where possible. The second was due to the incredible amounts of cocaine entering the US, and prices had dropped by around 80%. Producing crack meant that the drug could get around laws by adding extra ingredients, as well as selling the product in smaller doses so that it was far more profitable. By that point, crack in America was incredibly popular, so the purity of the cocaine wasn’t a worry to anyone consuming it. However, there was very little awareness of what they were consuming. This included the lack of knowledge of the symptoms of smoking crack, as well as the issues it could cause in the future, such as crack baby syndrome. During the 1980’s in the United States, the nation was struck by a sudden epidemic. The crack cocaine epidemic of the 1980’s was caused by some different factors integrating to create its incredible rise in popularity. One of the factors that caused the sudden epidemic of crack in the United States was the government. Many people ask, did the government create crack? Although that seems far-fetched, it can be considered partly true. This is because the government placed restrictions on the ingredients in cocaine, which in turn led to crack being created to bypass these regulations. Some people even consider the government to be the inventors of crack cocaine. However, this is almost certainly not true, as crack was a creation of South American cartels looking to improve their income. Another reason crack came into being, was the price of cocaine. Due to their being so much of the substance around at the time, prices had hit the floor. Dealers and cartels were struggling to turn a profit. Therefore they created crack, so they could use less of the drug in each batch when mixing it with other substances. Crack epidemic statistics suggest that results of the drugs influx were substantial. By 1987 the drug had conquered all but 4 states in the US. It then gradually made its way across the world. By 2002, countries in Europe, such as the United Kingdom and The Netherlands were struggling to deal with the large quantities of the drug suddenly entering their borders. 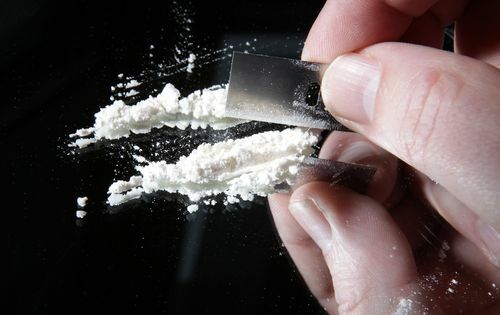 During the period of the epidemic in the United States, the number of people who admitted to using any kind of cocaine, increased by an astonishing 1.6 million, from 4.2 to 5.8 million people. There was also a large negative fallout from the epidemic. Cocaine hospital incidents in 1985 rose by 12% to 26,300 people. They continued to rise a year later, to 55,200 people. The casualties and ailments from crack were largely in the less well-off communities of big cities. These communities had previously not had access to the rich life of cocaine, and suddenly they could afford the substance due to crack. Gangs also began to develop, initiating regional wars over the drug. These territorial battles created more fall out, with the rise of gun crime, gang attacks and assaults all increasing in quantity. The American war on drugs was a huge part of the history of crack. The introduction of zero tolerance policies to anyone involved in a drug-related crime led to a law and order crisis. Crack statistics highlight that the war on drugs, in particular, cocaine; during the 1980’s led to the highest incarceration rate of any time and nation in the world. However, this made very little progress when it came to combating the drug, because of the illegal back-alley deals and number of ways in which the substance could be brought in without being detected. According to the Drug Enforcement Administration, the substance was regularly brought through the Caribbean after the Mexican border was gradually monitored for often. This method of transporting the drug made it incredibly difficult to track and trace. Therefore deals were still easily made and law enforcement left helpless. In the 17 years between 1980 and 1997, the number of people arrested for non-violent drug offenses rapidly increased. Beforehand, the number was just 50,000, but after the war on drugs began, it rose to an incredible high of 400,000. Police hysteria didn’t help the situation, with people being prosecuted for carrying a minute amount of the drug. In addition to that, police were only really managing to press charges against those using the drug or smoking it through a crack pipe (See: What does a crack pipe look like?) and not those bringing it in or selling it. They were not reaching the root of the issue, and therefore they were only adding to the problem and not solving it. As the number of arrests for petty crime continued to increase, and police got no closer to catching suppliers, it was clear the policy wasn’t working. Many drug-based words and crack slang were even used regularly to avoid detection from the authorities. Since then the war on drugs has continued. However, it has adapted. 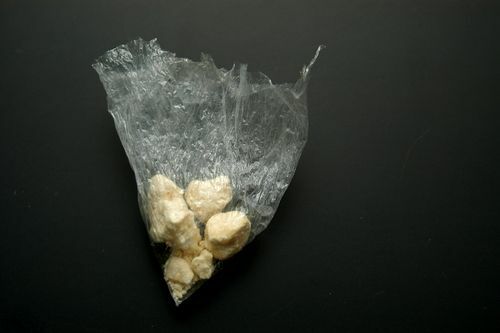 With the use of rehab programs and more effective policing, facts about crack suggest the new methods are far more effective. The fair sentencing act, passed in 2010, reduced the sentencing difference between crack cocaine and cocaine from 100:1 to 18:1. This led to a huge drop in sentences and made them fairer. It also allowed addicts a legitimate chance to recover. Crack is one of the most addictive substances around. If you do become addicted, it can be difficult to beat that addiction alone. Therefore it is important to get the support you need and learn how to get crack out of your system. There are some treatments available for crack addiction, including inpatient and outpatient care. For the most suitable treatment for you, contact a medical professional. For further information on where to get treatment, general information about what treatment entails, on anything else you need to know, please call out hotline at (888)-459-5511.